This is my Top 10 performers of the sixties and some of their songs in no particular sequence. It is not a complete list; I chose these because you could put any of their albums on the turntable and listen to it all night. Most of them continued to perform for decades to come and their music is still being played on the radio today. The Rolling Stones are an English rock band formed in London in 1962. The first settled line-up consisted of Brian Jones, Ian Stewart, Mick Jagger, Keith Richards, Bill and Charlie Watts. 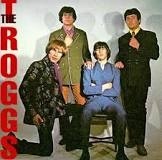 The Troggs were an English rock band from the 1960s that had a number of hits in the UK and the US. The Beatles were an English rock band formed in Liverpool in 1960. They became the most commercially successful and critically acclaimed act in the rock music era. 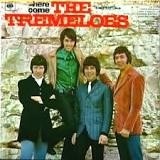 The Tremeloes are an English beat group founded in 1958 in Dagenham, Essex, and still active today. Sir Thomas John Woodward, OBE, known by his stage name Tom Jones, is a Welsh singer. He became one of the most popular vocalists to emerge from the British Invasion. Engelbert Humperdinck is an Anglo-Indian pop singer, best known for his number one hits "Release Me" and "The Last Waltz", as well as "After the Lovin'" and "A Man Without Love". Olivia Newton-John, AO, OBE is an English-born Australian singer, songwriter and actress. She is a four-time Grammy award winner. Evergreen! That is all I can say. They speak for themselves. Yes, I know I left out The Kinks, The Dave Clark Five, John Denver, Manfred Mann, Elvis Pressley, Cliff Richard and so many more, but I decided upon ten only. Life is a b*tch! why i'm proud to be welsh! Top 10 Things not to say to a father when taking his daughter out.